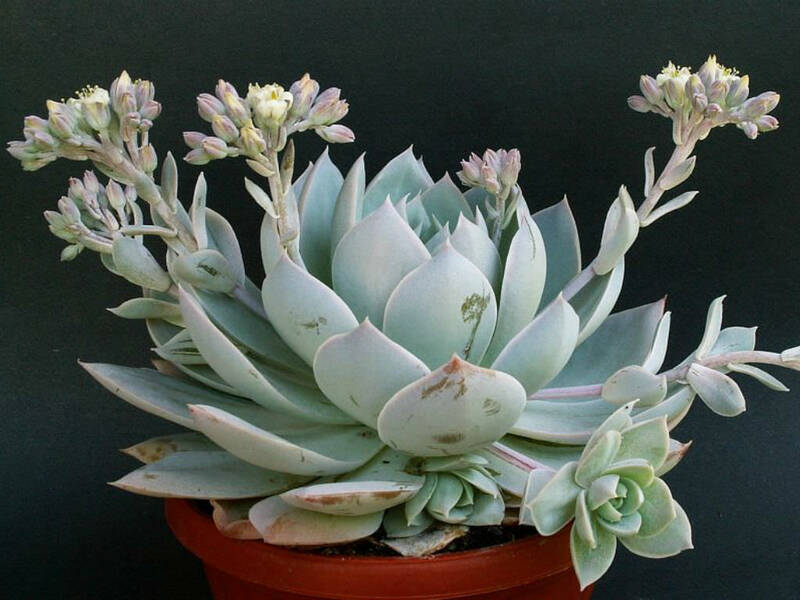 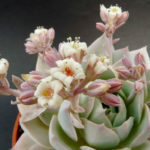 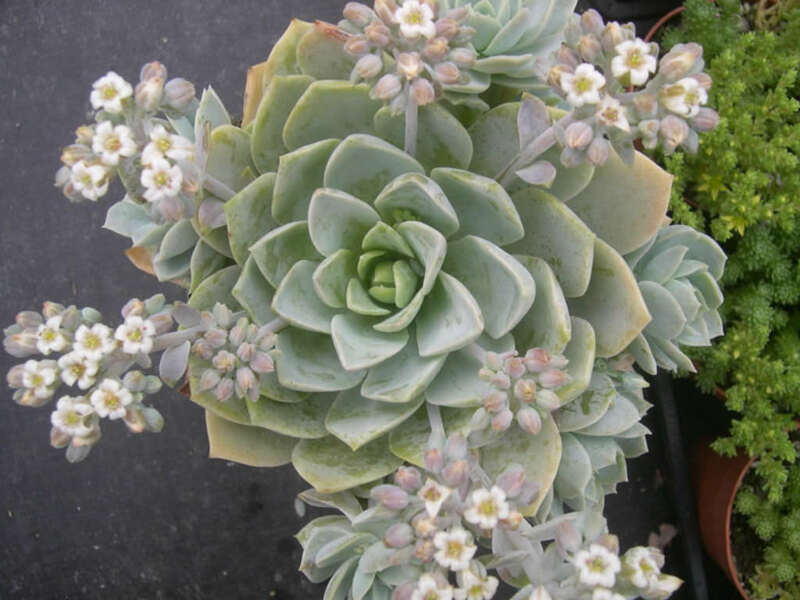 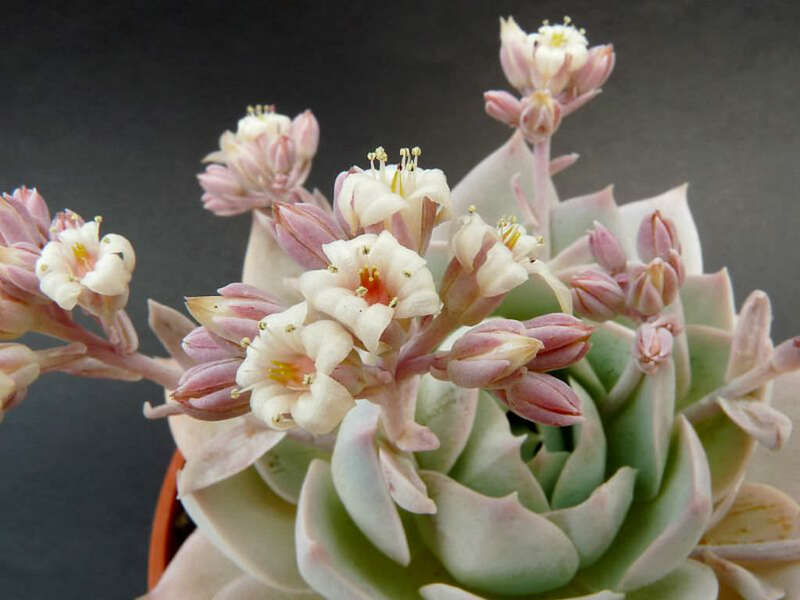 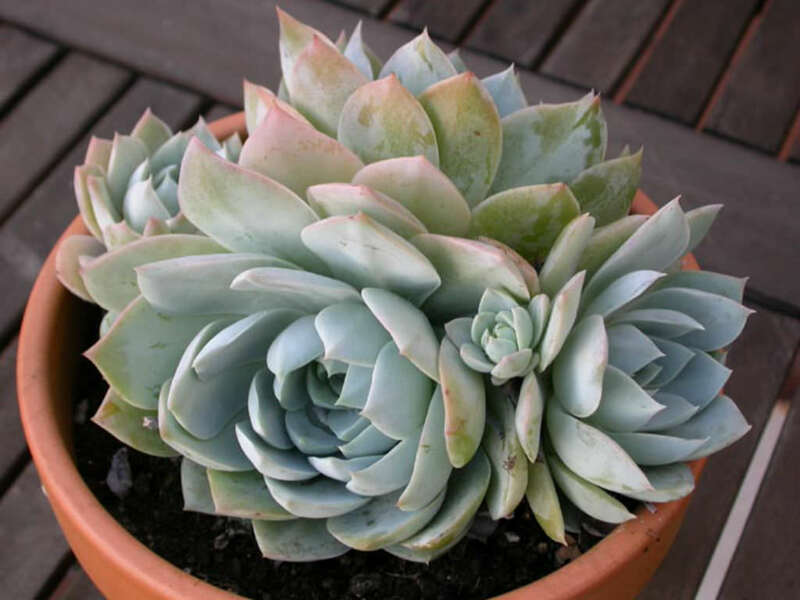 Sedum suaveolens is a clumping succulent plant up to 18 inches (45 cm) tall and wide, with up to 8 inches (20 cm) wide rosettes of glaucous blue-green to alabaster white leaves, often tinged pink with a flattened upper surface, keeled below and slightly upcurving towards the tip. 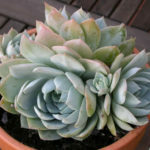 From within the rosette emerges stolons from which new rosettes form, eventually creating a tightly packed mound. 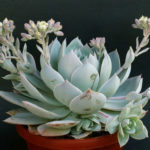 Like the stolons, a short inflorescence, barely reaching beyond the edge of the leaves, emerges from within the rosette, bearing sweetly fragrant white flowers.